As others have said; it’s a big brush and in honesty, physically bigger than I’m comfortable using on a daily basis, my usual brush size of choice is 1.5″; easy to handle and comfortable. The handle finish is extremely smooth with no imperfections that I could see, it also sports a rather neat “step” near the ferrule to rest fingers against – a nice addition which aids comfort of use through the day. Now that I mention the ferrule, this is where my main criticism lies; and this is by no means particular to Wooster alone… the finish of the ferrule isn’t as precise as it could be… over the last year or so I’ve used a fair few new brushes and pretty much all of them have a ferrule which is, in my opinion, unfinished. This particular Wooster has a small piece of burr metal just by the joint – initially found by my wife (the “words” still ringing in my ears). I’m not sure why this is with the industry – as some of you may know, whilst at University I worked at L G Harris during Summers breaks and believe me, I understand ferrules – literally from the sharp end! 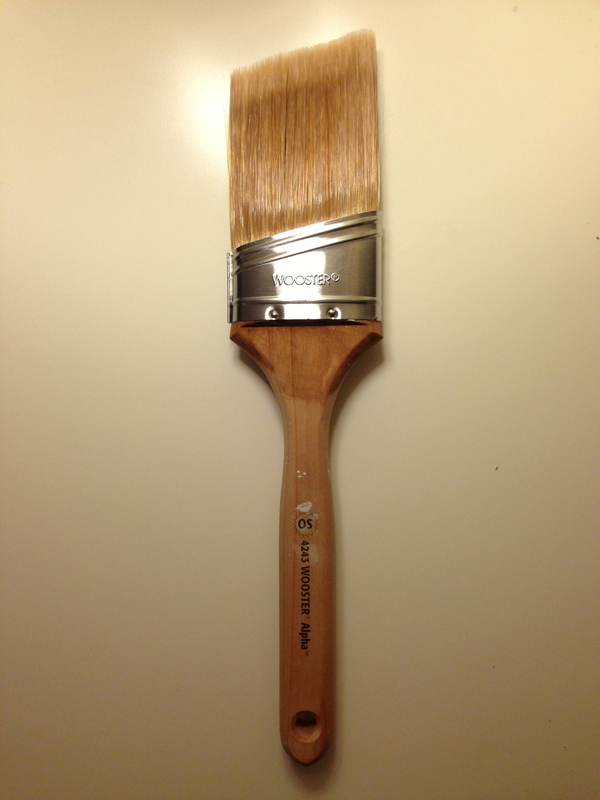 Anyhow, back to this brush; The balance for a large brush is very good and the trim of the Chinex bristle is precise… really, this is a Supermodel of a brush to look at. So, what’s it like to use? ; my road test has been on my current project in Liverpool – a traditionalpainter.com job, restoring an example of Cameoid (an early derivative of Lincrusta) and painting out a Hall, Stairs and Landing… I’ve used The 2.5″ Angled Alpha now for two days – not an extensive test, I know, but its a start! Initial reaction is very favourable; the brush holds a massive amount of material, the cut is long and precise with no splaying, weighting is very good considering it’s size, it’s balance for me is bang on – making it comfortable to use all day, bristle loss has been minimal (2 bristles), the handle length is good for me – I like this style of brush personally, and most importantly, perhaps, I’ve enjoyed using it – it made my job a joyful experience. 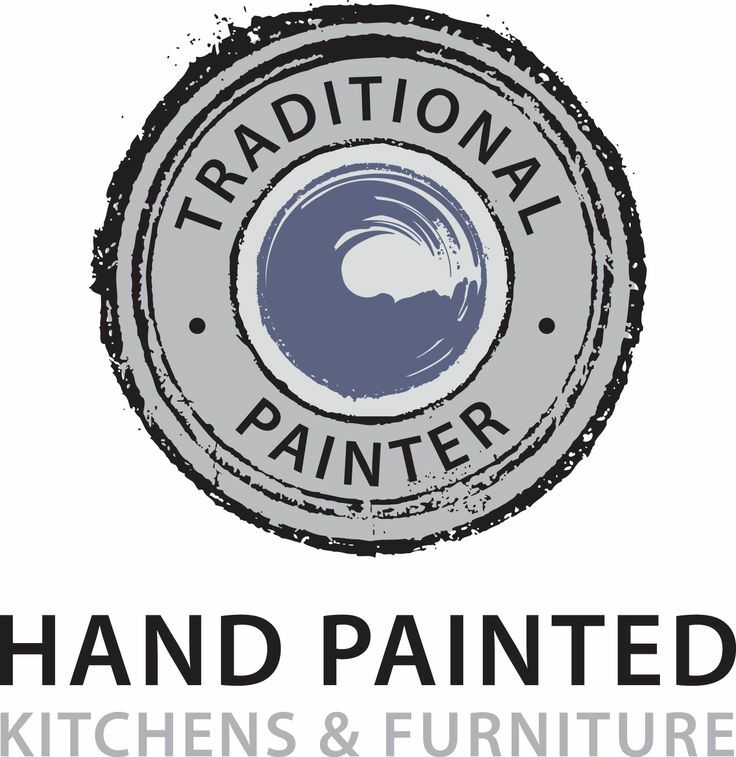 The paint that I was using was both Farrow & Ball Estate Emulsion and Little Greene Paint Company Intelligent Matt Emulsion – the brush cleaned up very well with water, followed by a little Krud Kutter to get rid of any remnants. So my overall score for this particular brush is 8/10. 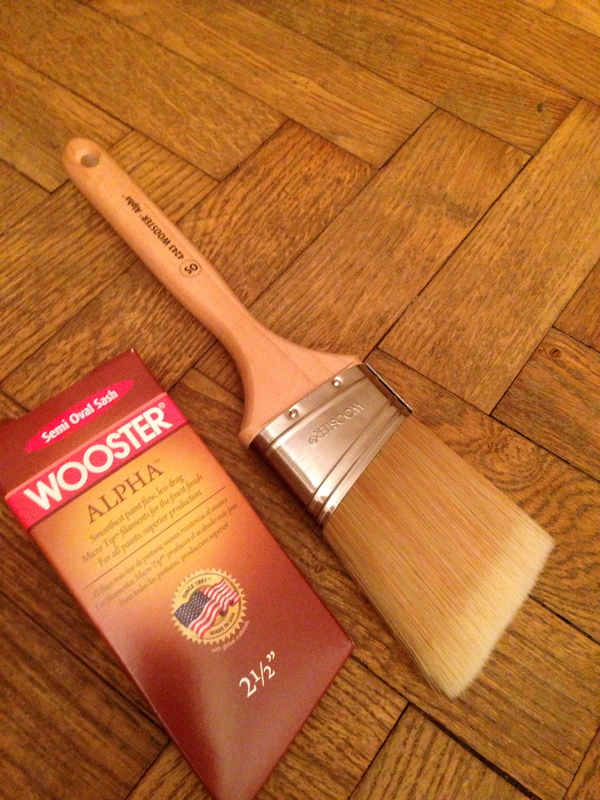 I think that if you like angled brushes (I do) and you work all day on site or extensively use emulsions then this could be a good brush for you, if you are a furniture painter requiring flexibility and versatility, then perhaps its physical size could be off putting. As a general brush, it’s a winner – in my opinion.